What is Bloating? Has this ever happened to you? You had a tiring day at office and now you’re hungrier than usual. You get back home and charge straight at the dining table. Your appetite gets sky high when you see your favorite dish served. All you can think of is stuffing yourself with as much food as you possibly can. As soon as you finish your meal, problems start showing up. When this happens you must have felt that your belly gets more swollen than usual and you feel as if you want to throw up at any instant. Your belly gets so tight that it becomes difficult for you to breathe and you feel fuller than usual. If this has ever happened to you then you might be suffering from bloating issues. To put in simple words, bloating occurs when your abdomen feel tighter and fuller than usual. You may also see that your belly is swollen. Improper eating habits are the most important risk factor for bloating. If you’re in the habit of drinking less water then you’re more prone to develop bloating. It’s because water is essential for normal digestion of food. Moreover, if you’re in the habit of drinking water after meals then you may develop fullness frequently because this habit is going to mess up with your normal digestion process. Similarly, people suffering from constipation often complaint of this troublesome situation. When you’re constipated, you’re unable to take your inside burden out and it starts to rot in your intestines. The bacteria in your intestines get a chance to ferment this stagnant food and produce a variety of gases as a result. You might have seen that some people develop symptoms of bloating as soon as they eat dairy products. It is because of the deficiency of a certain enzyme called lactase in such individuals. Lactase breaks down the lactose sugar present in dairy product and lack of this enzyme triggers fermentation of dairy products by gut bacteria. This results in excessive gas production and bloating. You might have observed that you feel extremely full when you overeat. Overeating is another habit that results in bloating. When you eat more than your stomach’s ability to digest, the result is fermentation of food and formation of gas. Being pregnant has its own perks but they’re a lot of side effects of pregnancy too. Pregnant females frequently complain of bloating, indigestion and reflux. All these problems are due to hormonal and physical changes that occur during pregnancy. The change in female hormones during pregnancy distends your stomachand makes digestion extremely slow. This is where all problems lie. Moreover, the problem of bloating increases with increase in the stage of pregnancy. In the later stages of pregnancy, the enlarging uterus (organ containing fetus) pushes against stomach and intestines and gives you a feeling of fullness. Bloating is an irritating and troublesome complain of menstruating females. Alternation in female hormones is to blame for this. Hormonal changes during pregnancy can cause excessive retention of water and this retention can trigger bloating. This condition usually reverses as the menstrual period ends. Above were the most prevalent causes of bloating. Abnormal growth in gut bacteria. What are the Best Home Remedies for Bloating? Bloating might sound something minor and of little importance to you but sufferers can best tell you how annoying this condition can get if left uncured for a long time. Luckily there are a lot of home remedies that are proven to cure bloating in no time. Read on to know some simple homemade tricks that can cure this issue. Peppermint tea is perhaps the best homemade remedy when it comes to the cure of churning stomach and excruciating gas pain. 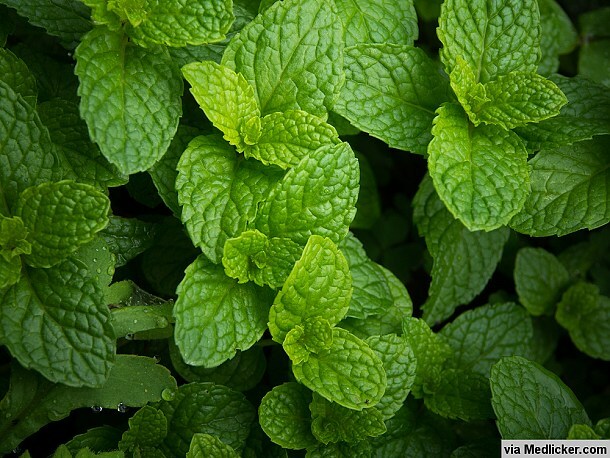 These anti-bloating effects of peppermint tea can be attributed to its essential oil called menthol. Menthol has proven to have anti-spasmodic effects as it relaxes the muscles of gut. Moreover, it is shown to have calming effect on nerves. Thus it soothes tension that might trigger attacks of bloating. Drinking a cup of peppermint tea before dinner can significantly reduce the attacks of bloating. 1 tea bag of peppermint tea. Steeping tea might seem like something extremely simple for you but it’s a little more difficult than you think. Most of us let the tea bag sit in the hot cup of water for several minutes and drink the liquid afterwards. This is absolutely the wrong way to make a herbal tea. This way you lose more than half of the goodness of the tea that remains entrapped in the tea bag. Take as much as a cup of water and heat it till it boils. Now take a bag of peppermint tea and place it in a clean cup. Pour boiling water over the tea bag and cover that cup with something (plate would do just fine). Let it sit for 5-10 minutes. After 5-10 minutes remove the cover and squeeze the tea bag so that all essence goes into your tea. Sit, sip, enjoy and relax. Heal it With the Power of Ginger! It can be said with certainty that there is nothing as good as ginger when it comes to tame your aching tummy. If you’re suffering from flu, indigestion or bloating then ginger should be your first choice. These healing properties of ginger are due to the presence of two chemicals in it - shgaols and gingerols. These compounds are scientifically proven to relax gut, decrease gas formation and ease the stomach pain. You can use ginger in a number of ways but making a delicious tea with garlic is perhaps the best way. This home remedy is extensively used to treat bloating associated with constipation, pregnancy and menstruation. There are several ways you can make a ginger tea but the method mentioned here is quite simple and quick. For making the tea, take a fresh piece of ginger root and scrub off its skin. Now cut that root into 4-5 pieces and add them into a cup. Now heat the water in a kettle till it boils or is near boiling. Pour that hot water into the cup containing pieces of ginger root and cover it for 5-10 minutes. Stir the liquid after taking off the cover and you can also add a teaspoon of honey and a piece of lemon in this tea to add to its taste- taste of ginger might not be quite appealing for you on its own. Drink this tea before going to bed if the issue of bloating is only mild. You can drink this tea after every meal if the issue is very severe. Another way you can reap the benefits of ginger is adding it to your daily meals, salads and soups. Let Chamomile Do the Trick! It peppermint tea doesn’t give much benefits and ginger doesn’t fit your taste then chamomile is the way to go. Chamomile is perhaps the most widely consumed herbal tea throughout the world and list of its health benefits is endless. Decrease in bloating is just one of its health benefits. In Germany people call chamomile tea “capable of doing anything” because it can literally help in all diseases ranging from simple indigestion to even the treatment of different types of cancers. 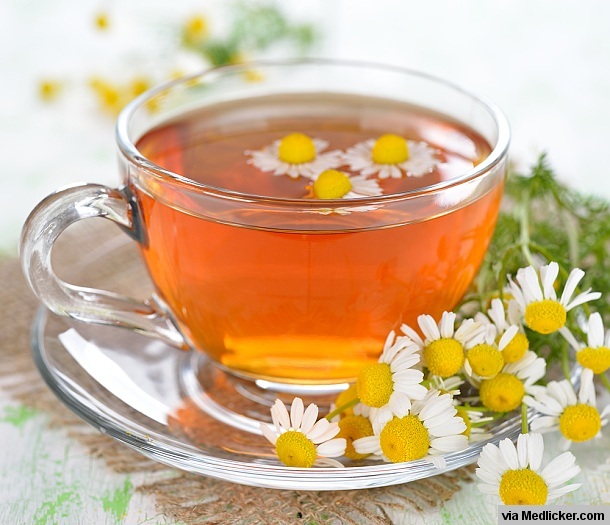 Chamomile helps in bloating due to several reasons. First, it speeds up the digestion of food. This way food doesn’t get fermented and no gas is produced. Second, it soothes the irritated stomach and gut. Third, it reduces any kind of inflammation that might be causing bloating. This home remedy can be used to treat bloating associated with constipation, pregnancy and menstruation. Tea bag of chamomile (one). One cup of hot water (fresh). Now to make chamomile tea, take a cup and place the chamomile tea bag into that cup. Heat a cup of water till it boils. Pour that hot water directly into the cup and cover it for 5-10 minutes. Afterwards, squeeze the tea bag so that the essence of chamomile gets mixed with the rest of the tea. Now stir this liquid and add honey and a piece of lemon into it to add to its taste. Drink this tea before going to bed or after every meal if the problem is severe. The root cause of bloating in majority cases is indigestion of food. Some components of food are particularly very hard for your gut to digest. For instance you might have observed that you get a sudden attack of gas and bloating as soon as you eat beans. This is because beans are high in fiber and our gut lacks bacteria to digest this fiber. If a thing remains undigested in the gut it rots and forms gas- a process called fermentation. If something could help you with digestion, it would definitely help you with bloating too. Pumpkin is that one thing that can speed up the digestion of food and limit the production of gas. Directions for use. For this home remedy to work, you would need a piece of pumpkin. You can mash it, eat it as such, boil it or grill it. To reduce indigestion and bloating eat 1 cup of pumpkin before your meals. It can be mashed, boiled, grilled or in salad form. Activated charcoal is another effective home remedy that is frequently used for indigestion and bloating issues. The effects of charcoal are mostly physical. Charcoal is a modified form of normal coal as it is highly porous. Charcoal is an extremely absorbent structure. When you eat it, it goes into your intestine and absorbs all the extra gas and gives you much relief. But how it exactly works is still a matter of debate. Try not to use charcoal on your own. Always consult your health care provider before using it. Also carefully read the labels of charcoal tablets or powder before use. Activated charcoal is available in tablets, capsule or powder form. You can use these forms of charcoals after meals to reduce gas and bloating. A glass of warm lemon water every morning is enough to keep the doctor away. Lemon is overall extremely good for health. Its benefits are several folds when it comes to digestive track. A glass of warm lemon water can help with indigestion, gas, and bloating due to many reasons. First, it stimulates the production of stomach acid. More acid means faster digestion. And faster digestion means lesser chances of the production of gases and bloating. Moreover, the excess water in lemon water solution can flush away all the toxins that might be irritating your gut. Thirdly, lemon and its extracts are proven to improve the functioning of liver enzymes and detoxification of wastes. This home remedy can be used to treat bloating associated with constipation, pregnancy and menstruation. How to make warm lemon water? A glass of boiled water (fresh). 1-2 teaspoon of lemon juice or 2-3 wedges of freshly cut lemon. This homemade remedy best works when you drink it early in the morning empty stomach before eating anything else. In the struggle to get up completely just go to your kitchen and put one cup of water on the stove. Heat it till it becomes Luke water, don’t overheat the water. Now add 1-2 tea spoons of lemon juice in this water. Or you can cut 2-3 wedges of lemon and squeeze their juice into the water. Gently stir the water and sip this liquid slowly. It will give a fresh kick start to your day and will also cleanse your colon. This remedy is particularly very popular among pregnant females that suffer from bloating on regular basis. 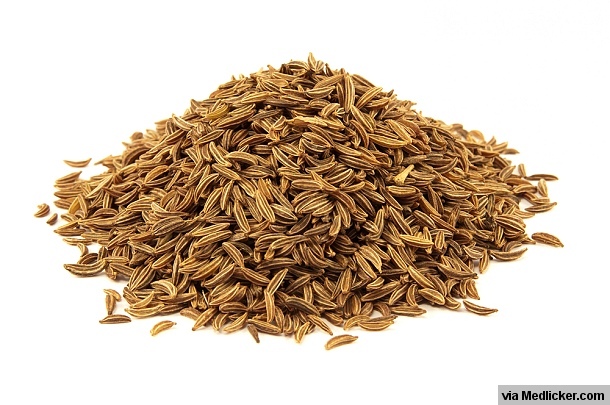 Caraway seeds speed up the rate at which gases move out and this way you might feel at ease. This is also very helpful during constipation when you’re unable to pass gas. If the taste of caraway seeds is not good enough for you then you can try some caraway crackers. Whenever you feel that the storm is building up inside, rush to your pantry and eat a pinch of caraway seeds. This would ease the pain and would let you get rid of that troublesome gas. If you don’t agree with the taste of caraway seeds then you can eat caraway crackers that are available in the market. If you’re too lazy to get up and try the above mentioned remedies then this remedy is just the right thing for you. This remedy is very popular among pregnant women and women undergoing menstrual cramps since massaging also ease the abdominal cramps and muscle aches. Massaging can help expel the pent up gases at a faster rate and it also soothes the spasm that usually follow bloating. To make this remedy to work lie down on your back and make sure that your body is relaxed. Now gently rub your entire belly with the help of your palms in a circular motion. Continue doing this for 5-10 minutes or for as long as you want to. You can try this trick once a day or for as many times you need to expel extra gases from your inside. Dandelion tea is another herbal tea that has shown promise in the relief of stomach ache, indigestion and bloating. This remedy is particularly very beneficial for the treatment of bloating associated with menstruation. And here is the reason why. Dandelion tea is a natural diuretic so it helps in rapid elimination of water from the body. As mentioned before the bloating during menstruation is due to accumulation of excessive fluids in the body. So this home remedy would excrete all that extra water and relieve you of that feeling of fullness. Dried leaves or tea bag of dandelion tea (one). One cup of boiled water (fresh). The recipe for making dandelion tea is very simple. To make this tea, take the tea bag of dandelion tea and put it in a mug of water. Now boil a cup of water and pour this water into the mug. Cover the mug for 5-10 minutes. Now squeeze the tea bag so that all the essence gets mixed into the tea. You can add a few teaspoons of honey into this tea to make it taste good. Drink this tea before night or after every meal depending on the severity of your condition. Eat Magnesium for a Quick Fix! Bloating starts when your stomach distends beyond normal, this is where the entire problem lies. The second most important reason for distention is fluid retention, which occurs quite frequently during menstruation. If you could stop these processes, you can nip the evil in the bud. This is what magnesium is for. Magnesium helps with bloating in two ways. First, it helps to remove extra water from your body. Second, it relaxes the muscles of your stomach. Menstruating females might use magnesium as a fix for bloating. Pregnant females should try this remedy after consulting with their doctor. Magnesium is naturally present in nuts and vegetables. But the quantity of magnesium you get from natural sources is usually inadequate. So you can speed up the process by eating magnesium tablets or capsules. 200 mg is the recommended daily dose of magnesium that you should consume. Potassium is another mineral with action similar to magnesium. It helps to eliminate extra water from body and relaxes the muscles as well. This way potassium would not only cure your fullness but would also give you a sense of relief. The healthy way for the consumption of potassium would be to increase the daily intake of food sources that are rich in potassium. Such food sources include mangoes, tomatoes and nuts. But you can also speed things up by eating potassium supplements as per the recommendations of your doctor. Whenever there is salt in your body, your body dilutes it by adding water to it and this is where all the problems start. When you consume large amounts of salt, your kidneys function more than usual trying to conserve more water than normal. When this happens, all the water gets stored into the tissues, especially around the abdomen. This is why you feel full after eating a food rich in salt. If you could decrease the intake of salt in your diet and eat salt free version of foods then this would certainly help with bloating associated with pregnancy, menstruation and constipation.